The process is simple…place meatballs in pan, douse them in BBQ sauce and bake until cooked through. Assemble them hot outta the baking dish and serve warm. Preheat the oven to 350 F. Add the meatballs and red onion slices into 9x13-inch baking dish and pour the spaghetti sauce over the top. Sprinkle salt and pepper on top. Bake in the preheated oven for 35 minutes, or until meatballs are cooked through. Tear the cheese slices in half. 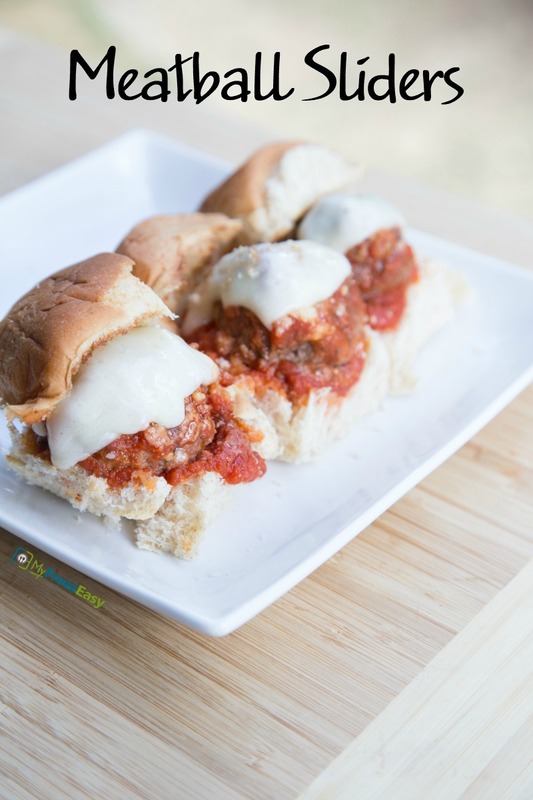 Spoon each meatball with sauce onto the slider bun and top with cheese piece. 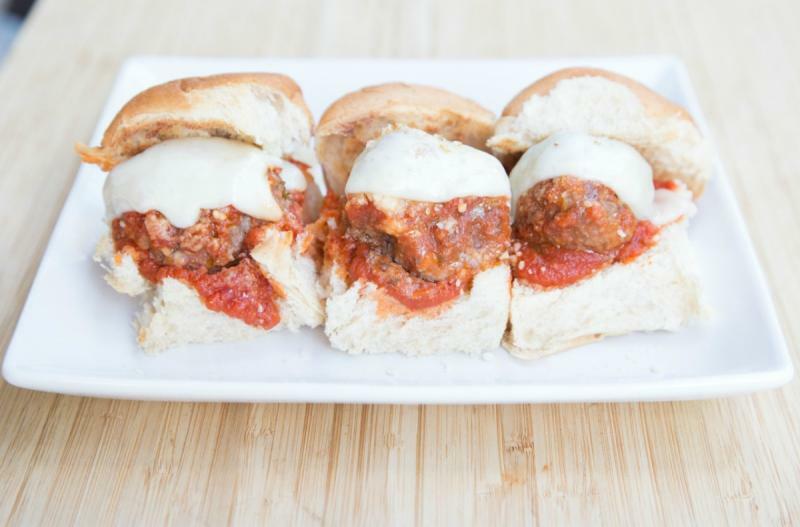 Serve Meatball Sliders and salad. Thinly slice 2 small red onions. Place baggie in the freezer and freeze up to 6 months in fridge freezer or 12 months in a deep freezer. Thaw completely in the fridge overnight, before baking as directed. Omit the cheese slices for dairy free. Thaw and bake at 350 F for 35 minutes, or until cooked through. Serve on slider buns with slice of Provolone cheese and salad.